These nightstands shipped quickly and arrived 1 day earlier than expected. They look exactly as pictured. 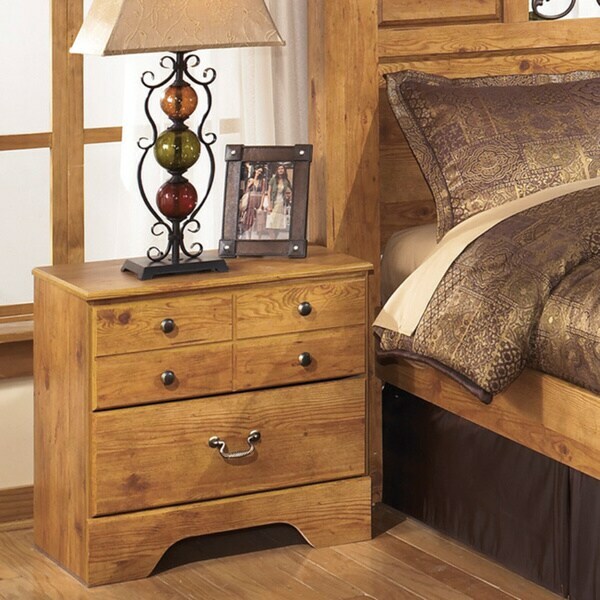 We love the pine finish and the drawers slide smoothly. Two storage drawers feature several antique brass knobs to give the Bittersweet nightstand a subtle pop of chic contrast. Decorated in a light rustic pine finish, this replicated wood grain piece is ideal for adding country charm or vintage style to your bedroom. To match current bed and dressers. Nice style, realistic dimensions, and natural pine finish perfect match for our custom pine platform bed. Thank you!